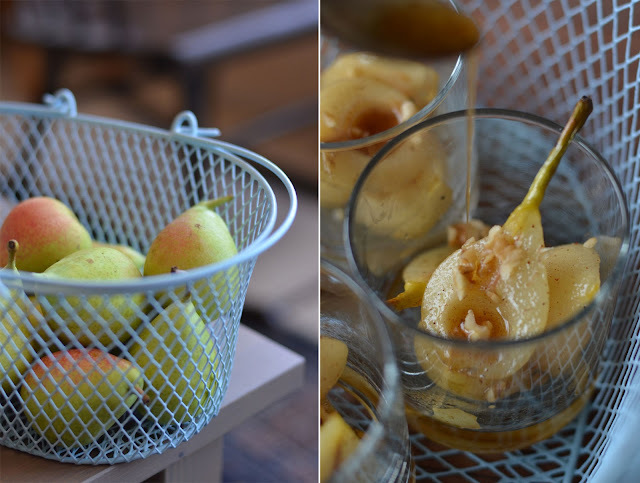 I saw these little pears in the store the other day and I just had to do something with them. 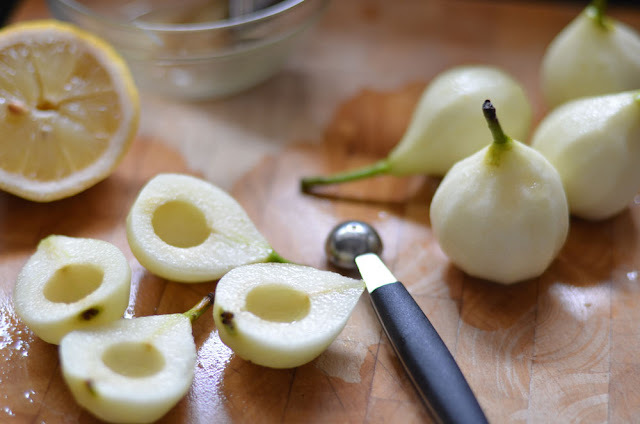 Peel the pears and make sure to moisten each pear with some lemon juice so that they won't turn brown (leave their stem on, it's prettier that way). Cut them in half and remove the seeds, I used a parisian spoon, you can also use a knife, it's quite easy. 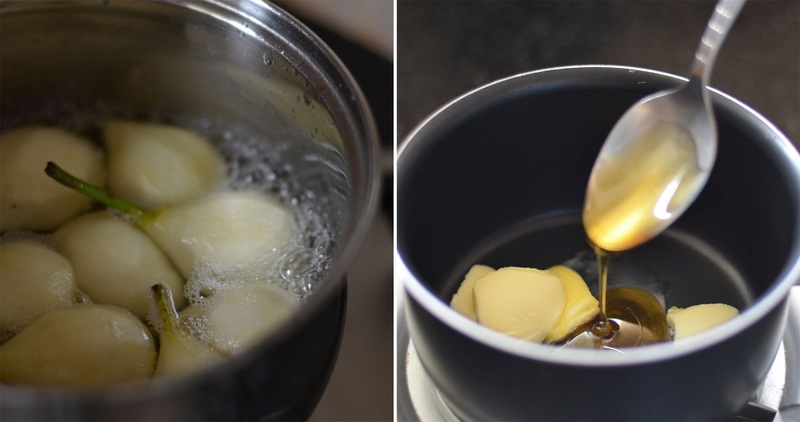 Don't forget to moisten the part you cut with lemon juice! Put both water and sugar in a medium sized sauce pan and bring to a simmer (make sure you stir once in a while, so that sugar lumps won't burn at the bottom). 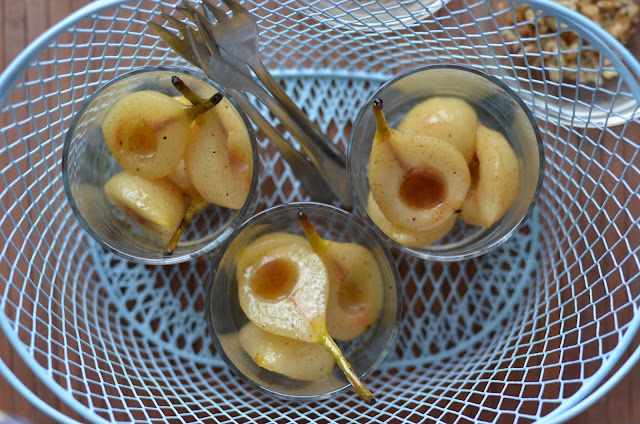 Immerse the pears in the simmering liquid and cook until they're soft - about 6 minutes. 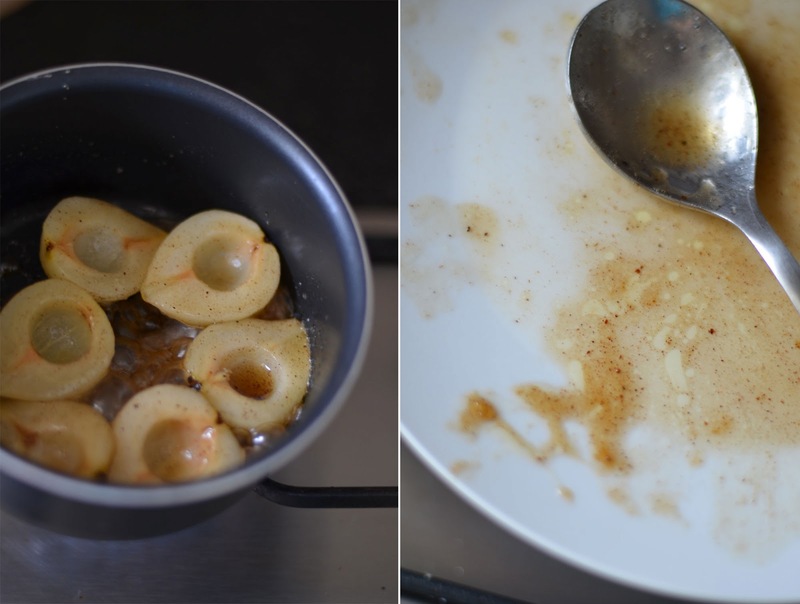 Replace onto a clean plate.